The development of the constellation of marjas and ayatollahs answered the question of who was to guide the Shi’a community in behaving rightly and worshiping correctly in the absence of the Twelfth Imam (the occultation). It did not definitively answer the question of who was to rule that community in temporal matters. For most of Muslim history, practicality overrode theory. The Safavids were an indigenous religious movement in Persia, originally Sufis but leaning toward Shi’ism. They seized power in Persia in the first decade of the 16th Century, and their seven-year-old leader was proclaimed king (shah—an ancient Persian word for monarch dating back to antiquity) in Tabriz in 1501. During his reign, Shah Ismail forcibly imposed Shi’ism as the official religion of his realm, beginning the permanent connection between Persia and Shi’ism. The advent of a Shi’a dynasty to power posed a theological problem. Shi’ism had developed as an oppressed and disenfranchised sect, preaching dissimulation (taqiya) as a means of self-protection and even arguing that Shi’a should not pay religious taxes to temporal (i.e. Sunni) monarchs. The Safavids were compelled to find a way of legitimizing their temporal rule in this context and defining what a Shi’a state could be. They enlisted the efforts of leading Shi’a clerics of the day, especially those from Iraq and Lebanon, beginning a bond among Iranian, Iraqi, and Lebanese Shi’a clerics that still persists. The Safavids initially claimed not only divine right to rule but also divinity for their rulers, reflecting the Sufi roots of the movement. Such views were incompatible with mainstream Twelver Shi’ism, so the Safavids quickly toned them down. Instead, they fabricated genealogies showing that they were not only descendants of the Prophet (sayyids), but also descendants of Imam Ali, and they claimed to be representatives of the Mahdi during the occultation. They did not supplant the well-entrenched hierarchy of religious scholars, including marjas, who already claimed, collectively, to represent the Mahdi and to be able to interpret God’s word and the traditions of the Prophet and Ali to guide their people during the occultation. Thus the Safavid shahs were largely seen as temporal rulers while the religious scholars continued to serve as spiritual guides for the people despite the Savafids’ pretentions. The fall of the Safavid dynasty in the 18th century led, following decades of chaos, to the establishment of secular rule in Persia, first under the Qajar Dynasty (1795-1925) and then under the Pahlavis (1925-1979). Neither of these dynasties claimed to represent the Mahdi, still less to possess divine attributes themselves. The Qajars claimed divine right to rule; the Pahlavis were modernizers but still devout Shi’a who retained some of the connections between kingship and religion while adding new tensions and nuances. In this regard, Persia was not far behind most European states—the monarchs of Britain, Russia, Prussia, and Austria all claimed, in principle, to rule by divine right well into the 19th Century. Reza Shah Pahlavi (r. 1925-1941) met clerical resistance to his modernization schemes with repression, but he also worked to build up the Shi’a seminaries in Qom, establishing a religious basis to rival the traditional center of Shi’ism in Najaf, Iraq. His son and successor, Muhammad Reza, adopted a similar approach, but found the going much harder. Clerical resistance to Muhammad Reza’s modernization plans (which he dubbed the “White Revolution”) crystallized around the figure of Ayatollah Ruhollah al Musavi Khomeini, who rose to prominence as the leader of the clerical opposition to the Shah in the early 1960s, for which he was exiled first to Turkey and then to Najaf, Iraq. Khomeini’s ideas blended religious thought with the quasi-Marxist revolutionary sentiments floating among many Muslims in the 1960s who were dissatisfied with their secular and increasingly autocratic governments and tried to incorporate the revolutionary methods and sometimes language of Marxism-Leninism into a worldview shaped by Islam. The Marxist element was always subordinate to the Islamism, however, and the theological justification for the current Iranian regime rests entirely on Khomeini’s interpretation (ijtihad) of the Qu’ran and Shi’a tradition. Khomeini outlined this interpretation in a series of lectures in exile in Najaf in early 1970. In accord with long Shi’i custom, one of his students transcribed the lectures (one of the ways by which a student can gain the formal recognition of his master) and published them under the title, “Islamic Government.” Drawing heavily (if sometimes selectively) on the Qu’ran and various hadiths (primarily Shi’a hadiths, including some rather obscure traditions), Khomeini argued that since Islam is a religion that encompasses and shapes all aspects of human life, there can be no division between religion and the state. Muslim society, he argued, requires a state that is guided by Islam and that enforces Muslim law. Any other form of political organization is illegitimate and puts the souls of its citizens or subjects in grave jeopardy. He further argued that Shi’i jurisprudents (fuqaha, plural of faqih) are the successors of the Imams, and thus of the Prophet. Their duties, he claimed, went beyond interpreting the faith and amending the laws, but included holding executive power in a just Muslim society. The nature of the argument is very similar to Plato’s justification for the rule of the Philosopher-King in The Republic, but the justifications Khomeini offered were drawn almost entirely from the traditions of the Imams. An Islamic State, he concluded, must be governed by the “guardianship of the jurisprudent” (velayat-e faqih). When the Shah fled Iran in January 1979, Khomeini finally returned from his exile abroad and set about taking control of a revolution conducted in large part in his name, but without his active participation. Within a few weeks, he had effectively seized power in the name of creating an Islamic Republic. Here theology and reality once again came into conflict, however. 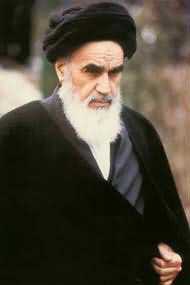 Khomeini’s sermons in the 1970s had emphasized that the bases for just Islamic rule were the ruling cleric’s mastery of Muslim law and tradition and his own moral rectitude. No one could call Khomeini’s own qualifications into question. He was a world-famous marja with enormous (if controversial) contributions to Shi’a religious thought, and he was known for the austerity and uprightness of his own personal behavior. By the time of his return to Iran, in fact, he was called Imam Khomeini, meaning not merely “prayer-leader” but likening him to the Twelve Imams. Khomeini himself had been rather vague about how to determine which among the religious scholars of the age should establish and govern the desired Islamic State. But the key passage inIslamic Government clearly opened the door for his rule: “If a worthy individual possessing [the qualities of knowledge of the law and justice] arises and establishes a government, he will possess the same authority as the [Prophet Muhammad] in the administration of society, and it will be the duty of all people to obey him.”  In practice, Khomeini had taken power at the end of a populist revolution with strong Marxist and populist overtones, and he blended his theology with the ideology of that revolution to consolidate his power. Thus in March he held a country-wide referendum on the question: “Do you want the monarchy to be replaced by an Islamic Republic?” It passed with 98% of the 20 million votes cast. Only after that referendum (which had no real basis in the argumentation supporting the idea of an Islamic Republic) did Khomeini declare, on April 1, 1979, the official establishment of the Islamic Republic of Iran. The first Constitution of the IRI was approved by referendum in December 1979, establishing Khomeini as the Supreme Leader of an Islamist state explicitly justified and organized by the principles of the guardianship of the jurisprudent (velayat-e faqih). 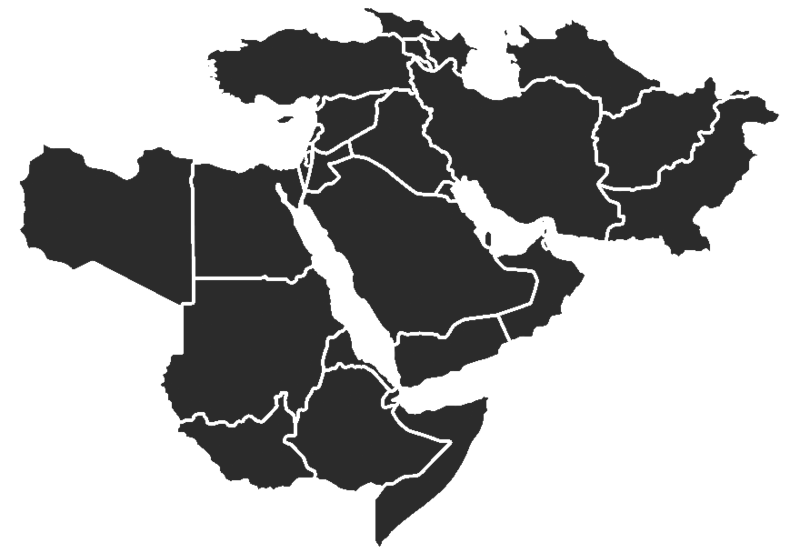 From the very outset, therefore, the Islamic Republic of Iran was based on a controversial theological principle implemented through the mechanisms of late 20th-Century constitutional and populist movements. The resulting theological-intellectual-ideological precariousness of the IRI led to a predictable crisis when Khomeini died in 1989. It continues to create tensions and concern among Iran’s clerical and ruling elite and between them and other important Shi’a clerical leaders, most notably the clerical establishment in Iraq that never accepted the principle of velayat-e faqih. Ayatollah Ruhollah Khomeini, Hamid Algar trans. And ed., Islam and Revolution: Writings and Declarations of Imam Khomeini (1941-1980), (North Haledon, NJ: Mizan Press, 1981), p. 62.